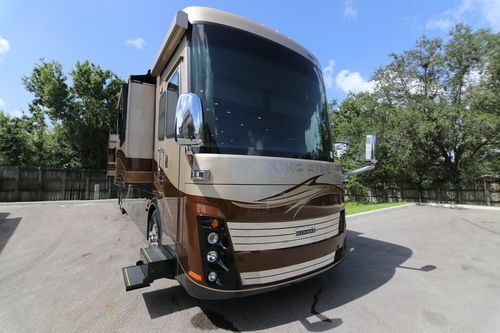 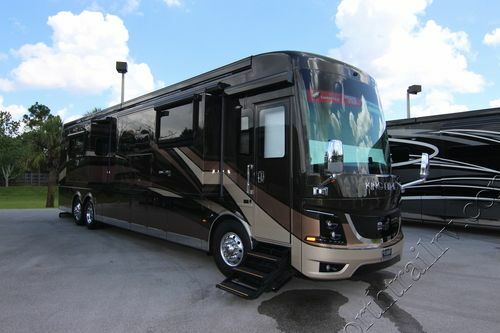 Newmar King Aire luxury diesel pusher bus motorhome from North Trail RV Center in Fort Myers, Florida is Newmar's top of the line motorhome. 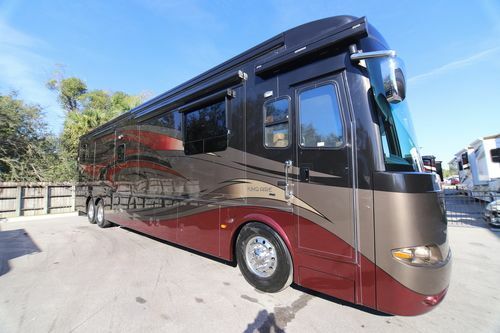 North Trail RV Center carries new and used Newmar King Aire diesel bus motor coaches. 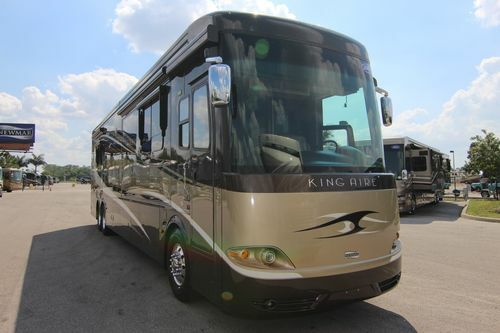 The 2018 King Aire combines world-beating performance and comfort with leading-edge safety features like a lane-departure warning system, electronic stability control, tire-pressure monitoring, and available adaptive cruise control with collision mitigation technology. 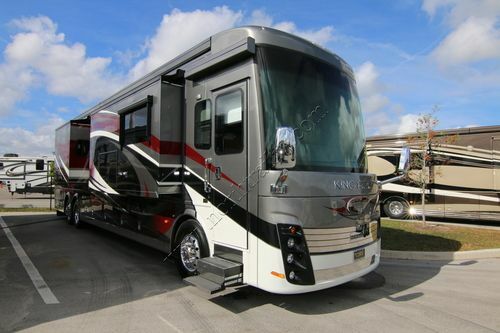 With a Spartan® K3 tag-axle chassis, the 2018 King Aire is hand-assembled upon the Newmar STAR Foundation and propelled by an all-new 605-horsepower Cummins® X15 diesel engine. 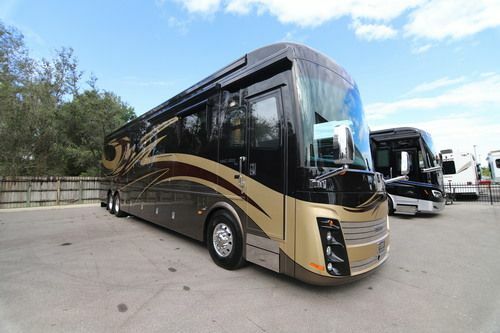 King Aire grants you total control with Comfort Drive™ + Passive Steer technology, and includes a tablet that lets you access your coach remotely, plus self-latching, soft-close baggage doors with an auto-lock feature. 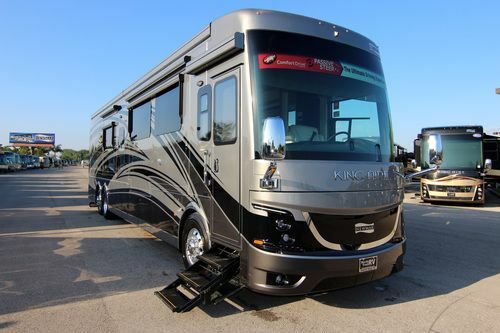 The 2018 King Aire offers four distinct versions of our Masterpiece™ finish, a full-paint finish applied in house by Newmar artisans. 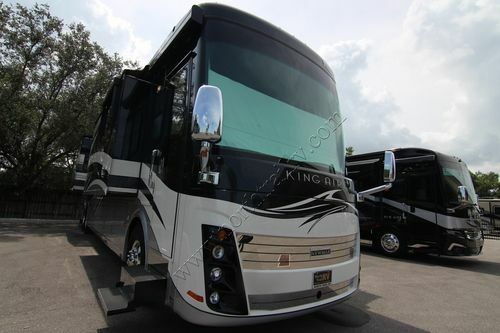 King Aire also lets you select between four stylish interior design options, each featuring fabrics from the Ralph Lauren® Home Collection. 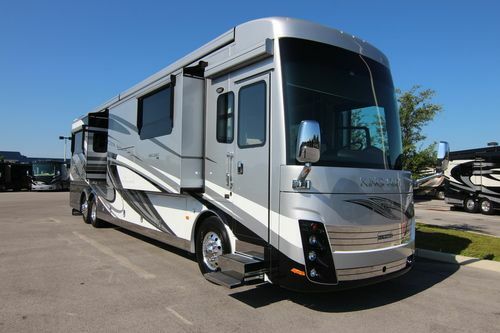 Finally, four hardwood cabinetry finishes are available for 2018, all of which can be had in spectacular ultra-high-gloss form. 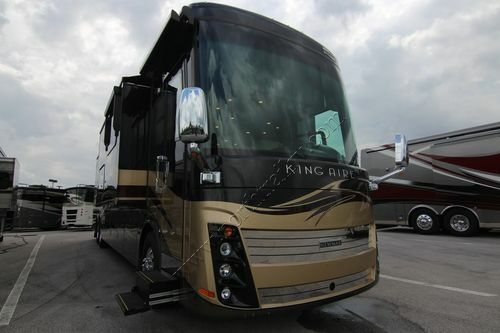 The 2018 Newmar King Aire comes in the following floor plans 4531, 4533, 4534, 4536, 4537, 4553 and 4598. 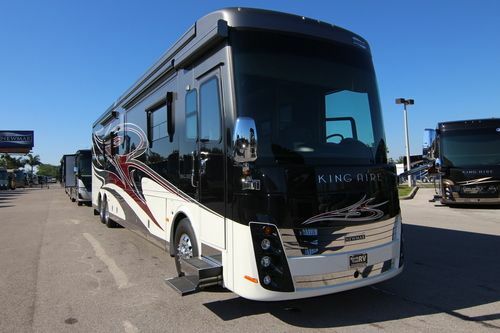 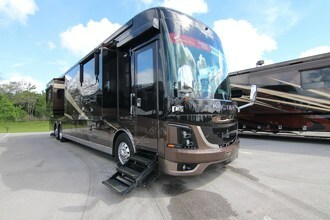 Please view our Newmar King Aire motorhome inventory below.